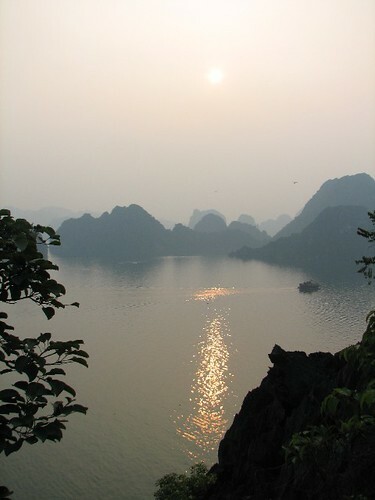 I took a two day, one night boat trip to Ha Long Bay with Vega Travel this week for a short break. Halong Bay is such an amazing place for a quiet and relaxing time, to get away from the motorbike horn, the shouting and the job stress. 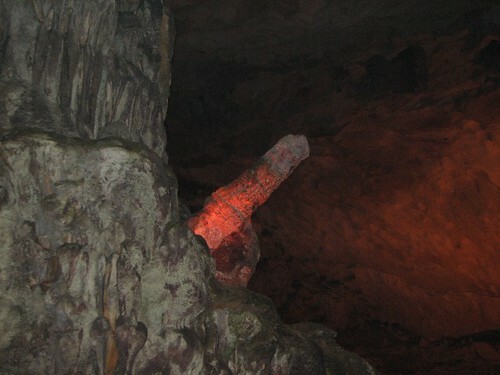 It is no wonder that this is one of the world natural heritage sites. Here is my story. 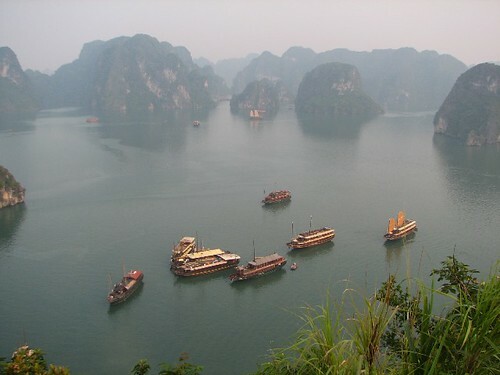 The tour company picked me up from my house then we headed to Ha Long Bay, the trip taking us about three hours. The weather wasn't too good in the morning but it got better and the sun came out finally. I loved sunbathing on the top roof, and I took heaps of pictures and enjoyed drinking wine and cold beer. I took a small group trip with only eleven other people, a few from Spain, England and Viet Nam. The food was good on board the boat, we were served seafood, of course, and spring rolls, soup and salad and they also prepared a special menu for vegetarians as well. After the cave, we went to Ti Top island where the boat stopped for awhile for us to climb up to the top of the hill which has an amazing view of Ha Long Bay. We left Ti Top to go kayaking nearby and swimming. This was the first time I'd ever tried kayaking and it was great. We swam until about six in the evening when we had dinner. I was a bit drunk at about eight after finishing off my wine and a few beers. I went to bed early but I woke up early the next day to catch the sun rise,at 5.30 in the morning. It was so quiet, nothing much happening around, just the boat engine going sometimes on and off. Sitting on the top of the boat in that peaceful atmosphere made me feel life is so nice and I just forget about the busy stress of normal life. 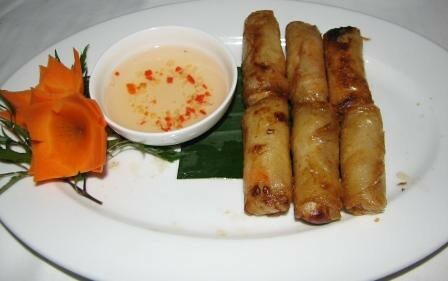 This spring roll is one of the most popular choices at my workplace. 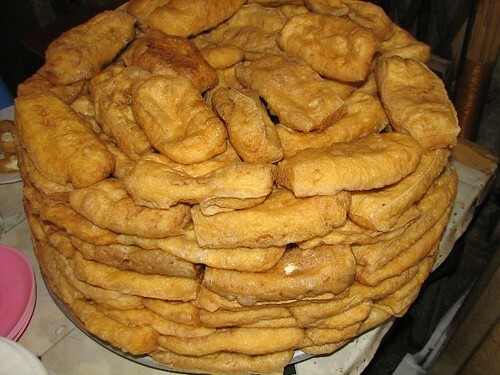 See if you can make them at home. Pour a little cooking oil into a sauce pan; heat until hot; when the cooking oil reaches 80 degrees C, put prawns, sprinkle sesame, chicken powder in & stir in 5 minutes. 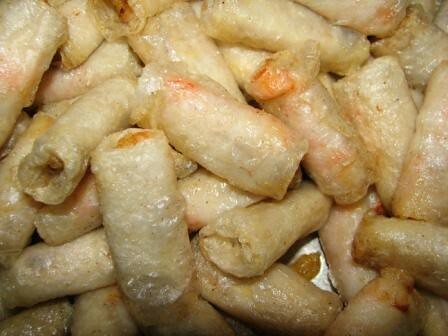 Place half a prawn and a piece of banana on a rice paper before rolling it into a roll. 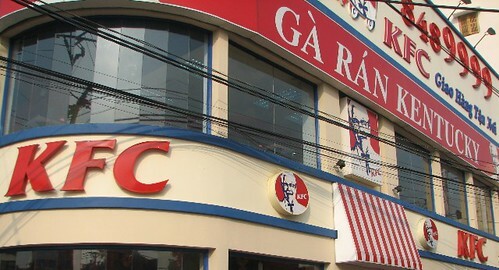 I can't believe the government has accepted KFC in Viet Nam, first in Ho Chi Minh city a few years ago and now in Ha Noi. 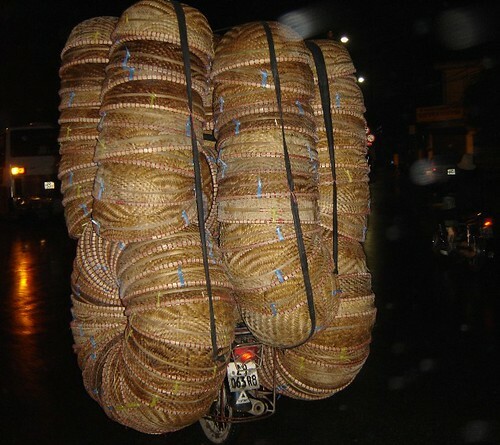 It seems that Vietnamese people love this kind of fast food. However, lots of my friends have told me that this is not special at all and quite expensive but kids are loving it. I dont understand why adult people also eat it alot. I tried it once in Saigon in the last few years, another time on the way to Anglesea in Australia and I hated it. 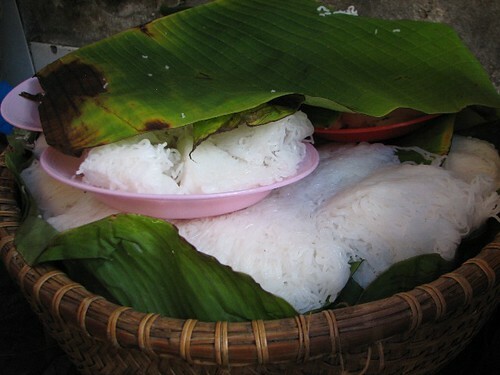 To compare the income of the average Vietnamese and the price of KFC in Viet Nam, you can see that not many people can afford this kind of fast food. 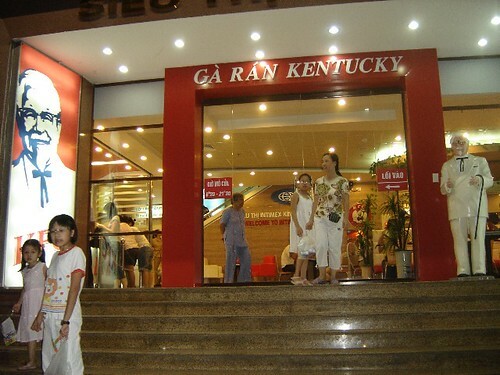 There are a few Vietnamese fast food restaurants in Hanoi such as 123 or ABC and so many small fast food restaurants in Ho Chi Minh City which are quite sucessful with some dishes similar to those at KFC. 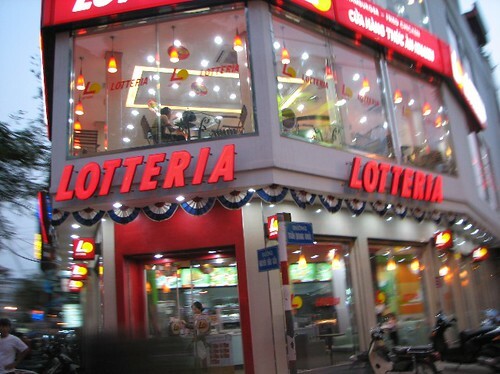 I wonder why people like to eat fast food when they have so many options to choose from on the street in Vietnam, as well as some good Thai food, Indian food, for a more reasonable price. We can easily understand why kids love to try these foods but parents should say something to them and they don't. In the evening most days, especially on the weekend, these places are packed and hard to get a seat. Why is that? Over the last few months, Wild Rice restaurant where I work has had quite a few parties booked and I have had to arrange some of them. 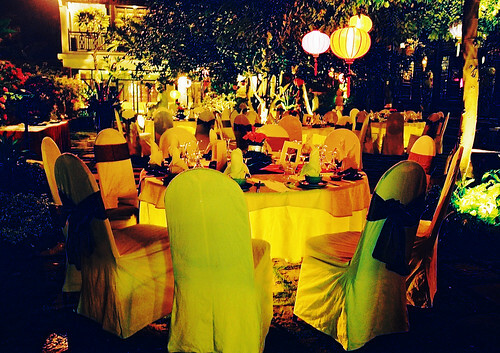 The table settings and flower arrangements depend on the purpose of the occasion. 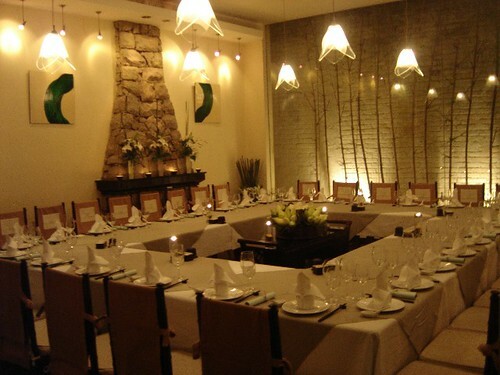 For example, in the picture below, we arranged this table for a dinner meeting and it took us one hour to get it perfect. 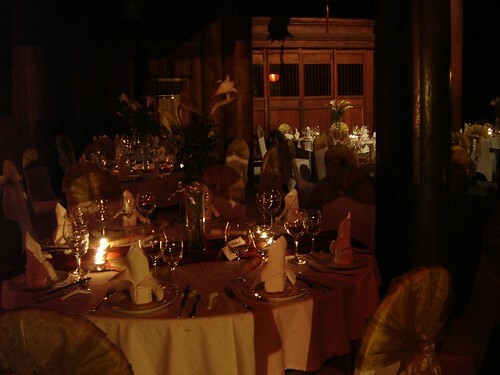 And in the following picture, we arranged a huge party at the Temple of Literature where we served almost 200 people. It took us 3 hours to arrange these tables. Moon River Retreat is a peaceful place which has four rooms with garden and river views. This is one of the most popular boutique destinations now. With Vietnamese design in the old house and the guest rooms and a garden with starfruit trees, along with the view of the Red River will make a stay here really memorable. I always enjoy organising parties for work or for myself, I don't know why. Maybe it's because I have been working in the tourist industry for a long time. I suppose there is some satisfaction in this kind of work, making a place look nice and seeing the guests' reactions. I broke my motorbike key the other day and I decided to have a new one cut. 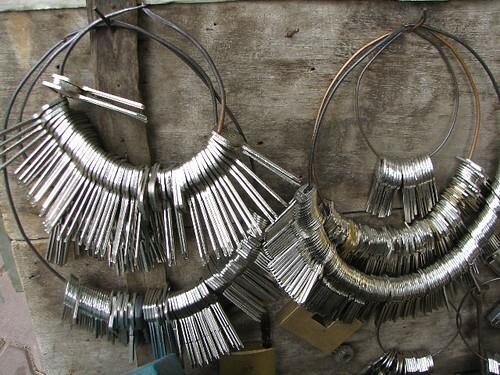 When I think back to about 10 or 15 years ago, there used to be a man or lady using a file to make the key with hundreds of movements up and down and it took them about 15 minute to finish the job and it used to cost about 3,000Vnd. 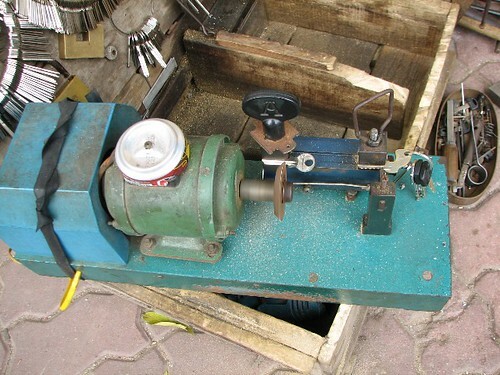 But like in the picture below, you can get your key done in a few minutes by machine and it's the perfect size and it costs you from 5,000Vnd up to 20,000Vnd. The quality and and the look of the key is much more professional than in the past and you can see this business alot in Hanoi like groups of mushrooms around street corners. I talked to the guy who cut my key and he told me that he earns about 100,000Vnd per day which means he cuts about 20 keys everyday. That's not a bad income. This job is not physically demanding as he only sits on a chair for the whole day. However, ocassionally he has to run very fast to escape from the police who do not allow people to trade on the pavement. I think they bribe the street police to sit there, who knows? There are many key blanks for you to choose and they are not very different in price. Why do people always say go to the Emperor Restaurant? 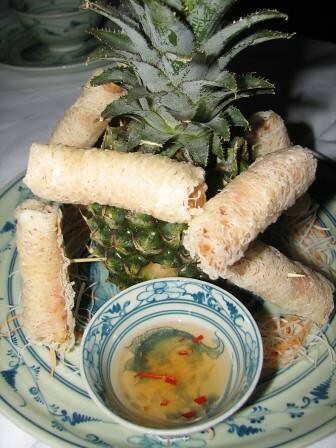 Because, it’s won the best fine dining awards for Hanoi several times. That's a good reason. 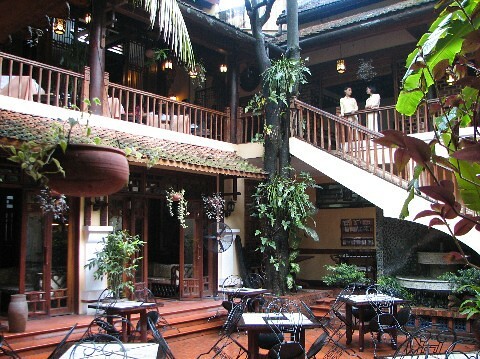 The restaurant is so beautiful and you can choose to sit in their old wooden house called the Patio or in the very nice garden between the bar and the old French building. Also, there is the nice narrow balcony looking down over the lovely garden. It is such a nice space and design to have a good relaxing time here with very well trained staff who respect customers space. 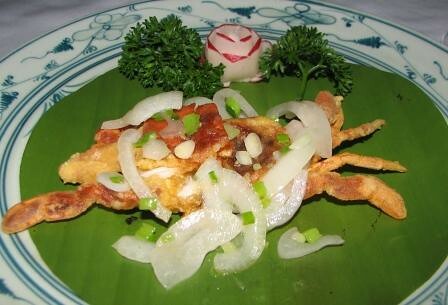 The food is delicious with the highlight being the salads and spring rolls, especially the fried spring rolls in the Hue style or soft shell crab with onion sauce and green papaya salad. 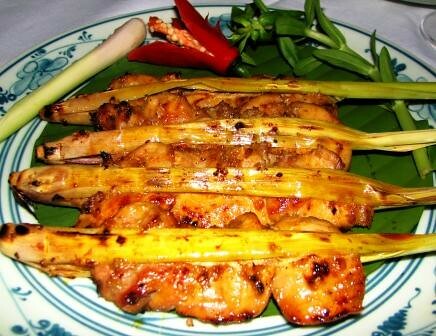 If you are a fan of poultry, try the grilled chicken with lemongrass or stir fried duck with tamarind sauce, this is a little bit sweet but it’s really nice. Whatever you choose from this menu is going to be spot on. Just go! 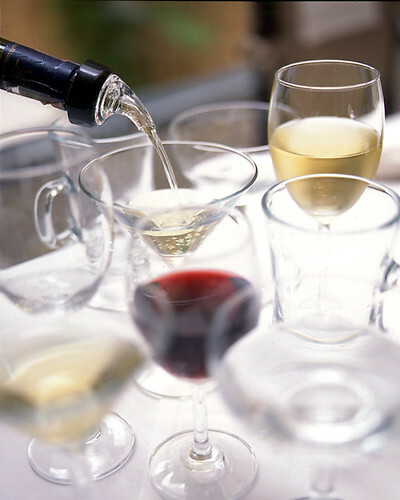 One more important thing is you need to make a reservation in advance or you have to drink quite a few drinks at a very nice bar waiting for your turn. They have live traditional music every Monday, Wednesday and Saturday night in the garden and flamengo peformances on Tuesday and Friday in the bar. 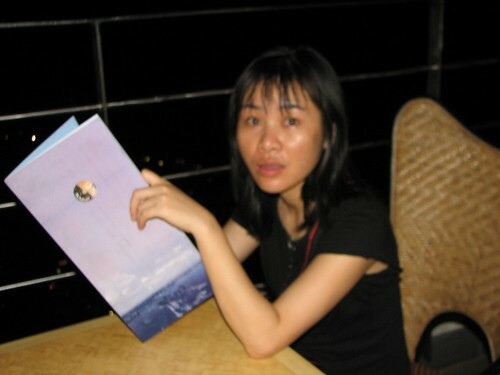 Nga, one of my very old friends from Nha Trang, who lives in Saigon now came to Hanoi last week. 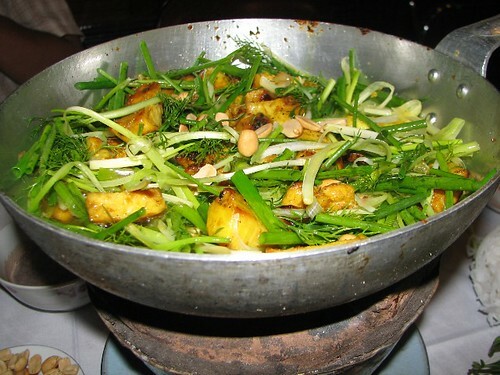 It was one of the hottest days of the summer and I took her out for dinner with her friends at Cha Ca La Vong (grilled fish) but not the popular restaurant in Hang Ca Street. 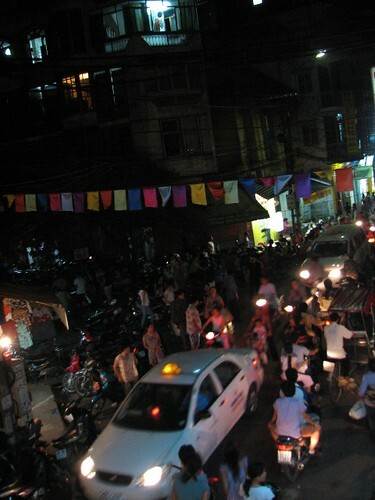 This one is in Nguyen Truong To street and is also quite popular for local people. We went there when the restaurant was full and we had to wait for a few minutes before sitting down. I was dripping in sweat just getting to the restaurant. Anyway, we got what we ordered. The fish is quite good here but its a pity about the service. Sorry to keep complaining about the crap service in Hanoi but it truly needs to improve. 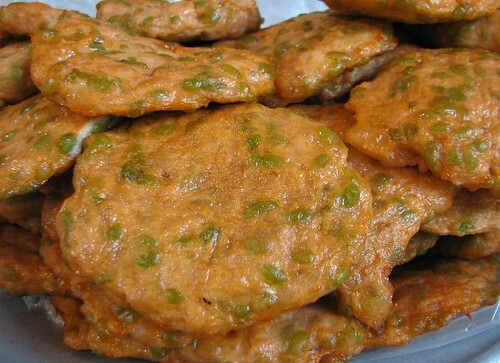 This is one of the most popular dishes from Hanoi. It's quite an oily dish, though. 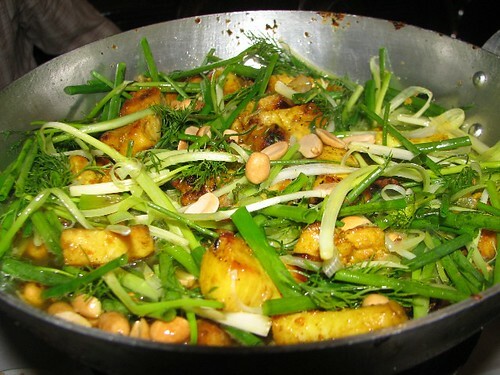 The fish is already partly cooked before it arrives at the table and we only need to stir fry it again in a very hot pan and add some green onion, herbs, peanuts before eating it with fresh noodles, and smelly shrimp sauce. Yum, the sauce really makes the difference. We finished eating and decided to go to Highland Cafe on Westlake. We walked around out and in but we couldn't stand the heat so we decided to go to the Sofitel Plaza Hotel for a drink in air conditioned surroundings. We made it but we couldn't find a seat inside! While waiting outside for a table, there was not a bit of wind. It was so hot, even though we were on the top of a 20 floor hotel which is located between two huge lakes, Truc Bach Lake and Ho Tay(Westlake). My friends kept complaining about the heat and I had to wander around looking for a table. Finally, thank god, I found one right in front of the stage which meant we had to put up with the loud music. But we were so glad to be cool. The drinks are really good here, especially the Mai Tais and my favorite Mojito and the cold beer. We drank quite a few there before heading out home. Anyway, been there, done that and had a good time. If you don't mind trying street food and you have only 10,000Vnd in your pocket, then this lunch is for you. That's fried tofu with noodles. 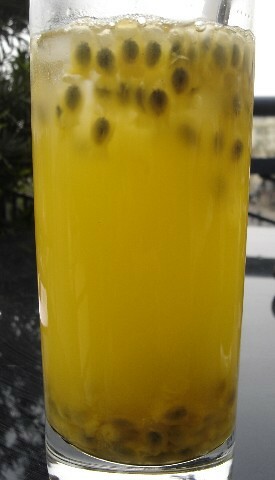 This is served at a very popular place in Phat Loc lane near the corner of Hang Be, Hang Bac and Hang Mam street. There's no air conditioning but an old electric fan hanging on the wall is included with the price :) The sauce may be a problem for you. It is a smelly shrimp sauce which I love but I know many westerners don't like it and prefer normal fish sauce. 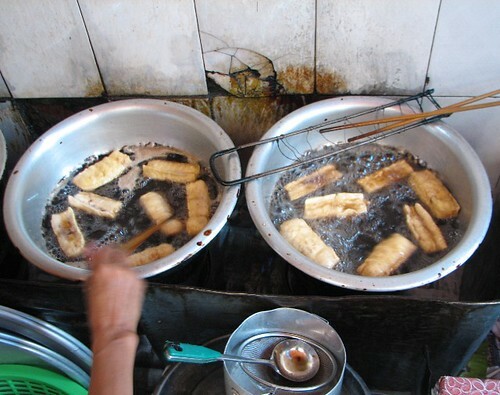 You also can order some yummy fried young sticky rice pancake and eat with noodle and its also very cheap. The owner of this stall shouts at her staff all the time which may drive you crazy, but her tofu is great and the noodles are always fresh and the staff always smile even though they get shouted at. Don't forget to order a cup of iced tea from the old lady in front of this shop. She serves very good tea with clean ice and in clean glasses. 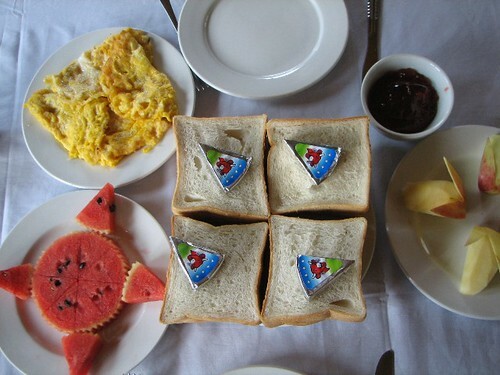 I am sure that you won't have any trouble with your stomach. Stop at a red light? 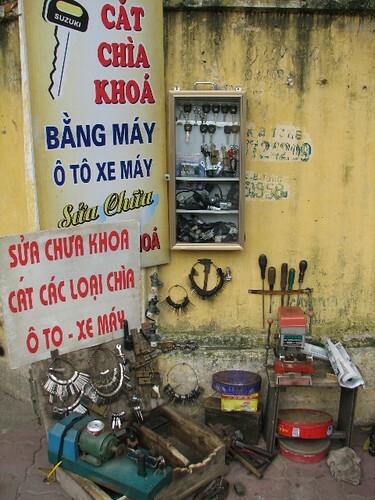 That's a big question in Viet Nam where a very high percentage of people don't follow this basic rule. 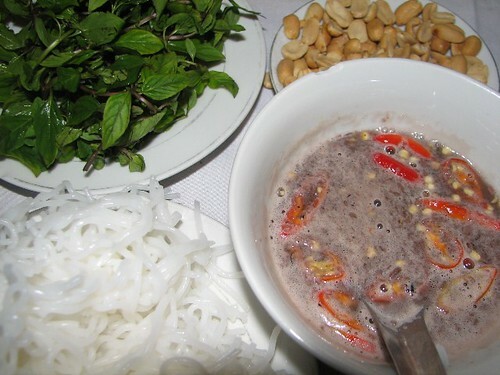 This is scarey for whoever comes to Viet Nam for the first time. 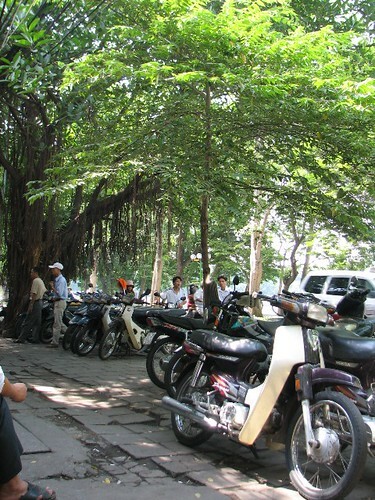 Motorbikes are the popular form of transportation in Viet Nam and you can see different motorbikes with different colors. From $800, you can own a brand new Chinese motorbike with Japanese branding, such as a Honda Dream, Lifan etc. The quality is not bad but if you need a fancy look then you have to spend about $2000 for a Japanese or Korean bike. Vietnamese love to follow the fashion and they change their bike very often even though it costs a few thousand dollars such a change. Do not be surprised when you see most young people riding around Hanoi on the most expensive and updated bike even though they sometimes have no money in their pocket or have just enough to pay for the petrol. 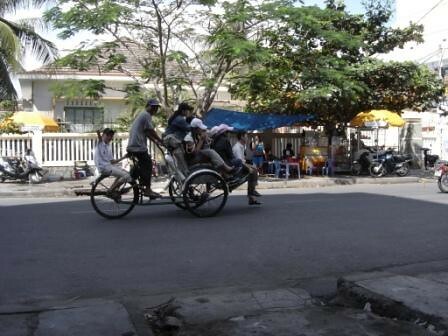 Is there a Driving license or age limit law in Vietnam? There is but it is not a big deal in Viet Nam as so many boys and girls drive motorbikes which are over 100cc under the age of 16 and the police don't really care much about that unless they drive fast or carry 3 or 4 friends on the back. Knowledge is limited about traffic rules and some people seem to not really care about their lives or those of others. That's why there are many accidents happening everyday. 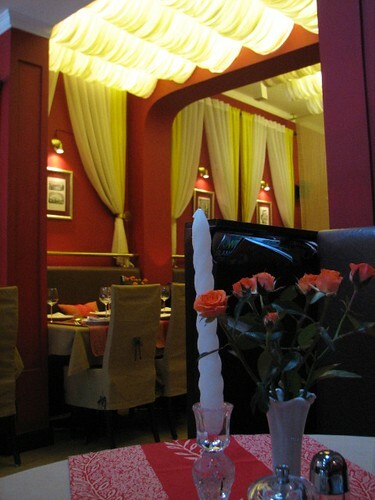 Aqua is a small beautiful restaurant and cafe which serves French style food, especially very good seafood and salad. This place looks more like a lounge than a cafe and the music changes throughout the day to suit the mood, and Aqua includes classical music too. The menu states that the meat and some seafood are imported from overseas. 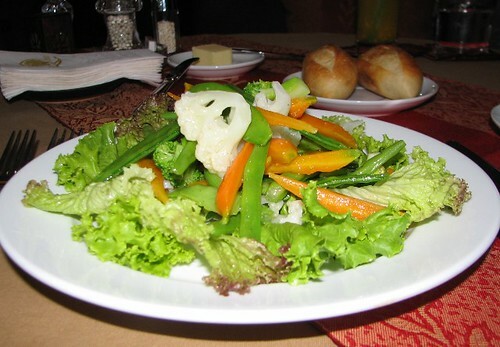 The quality of the ingredients and cooking makes their food special. The fruit juices and coffee are both good. 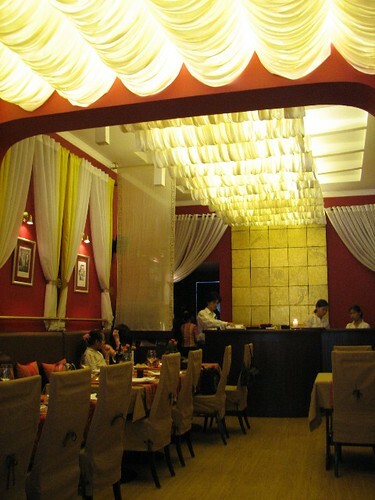 They have very comfortable sofas in which you can relax with your friends for a long chat. The staff are very friendly and well trained and they know how to make you happy. They also have a cafe card for their coffee promotion which involves buying four and getting the fifth for free.